The bigger Web commerce gets, the bigger the opportunities to mess it up become. 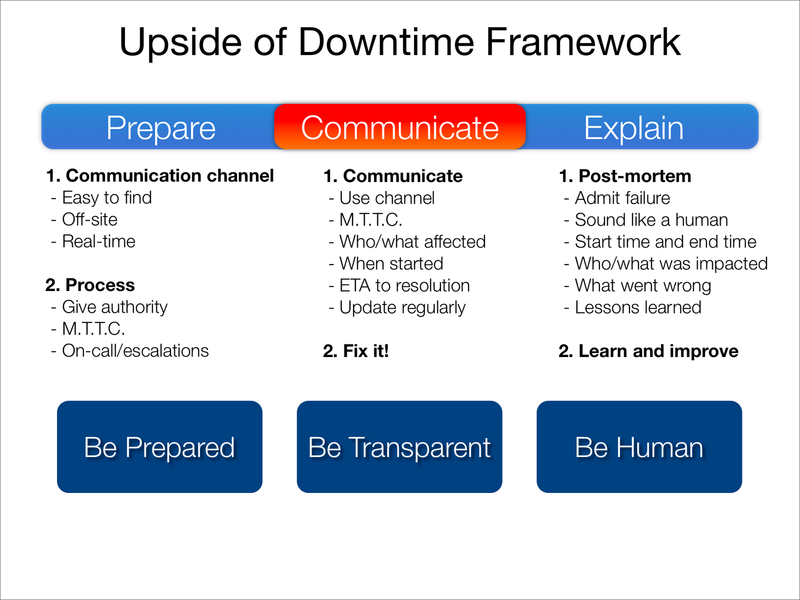 Outages and downtimes are inevitable; the trick is minimizing the pain they cause. As we've seen over the past few months, the simplest way to minimize that pain is by letting your customers know what's going on. Before, during, and after. A little transparency goes a long way.